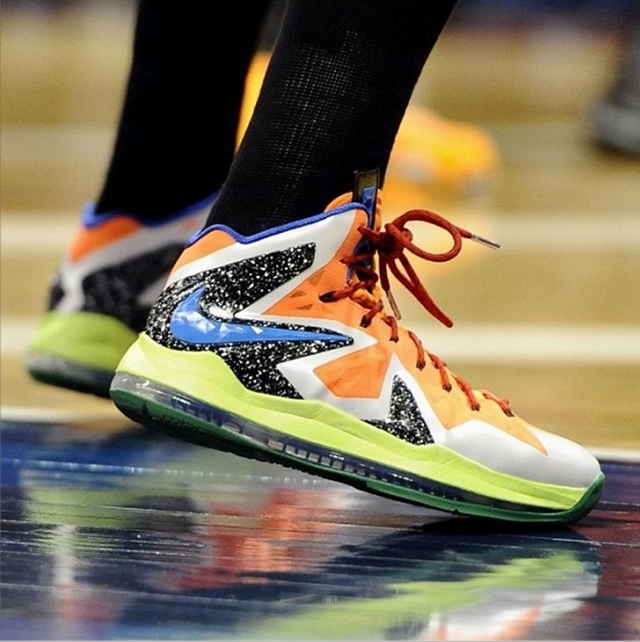 WNBA superstar Diana Taurasi caught the attention of LeBron James sneaker lovers as she sported an eye-catching edition of the Nike LeBron X Elite. Now known as the Nike LeBron X Elite Diana Taurasi All-Star Player’s Exclusive, the Phoenix Mercury superstar wore this kick during the 2013 WNBA All-Star Game wherein her team, the Western Conference All-Star squad, bested their Eastern Conference counterparts, 102-98, on Saturday in Connecticut. There are no words as of now whether this kick will hit the market, but we will keep you updated.